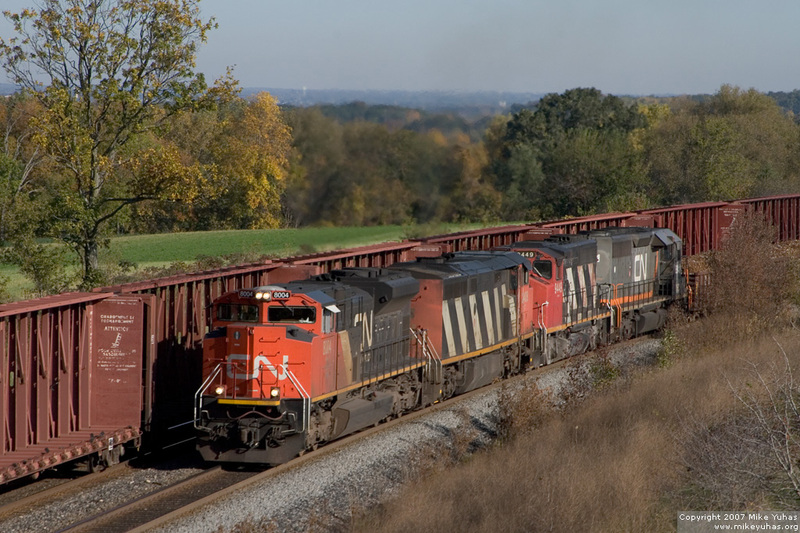 CN train 118 blasts up Byron Hill. No helpers were assigned to the train, and in fact the rear two units did not appear to be working. A northbound stands by on the adjacent main track to wait for congestion at Shops Yard in Fond du Lac to clear.